College Help For Students Cuts Drinking, But Not For Long : Shots - Health News Most colleges offer some sort of alcohol education. One-time interventions do reduce drinking, but the effect is short-lived. Women have better results. There's no benefit for men in frats. Women and younger students were more likely to drink less after alcohol-education programs. Most colleges require students to go through some sort of alcohol education program. When I was a freshman in college, I was required to play a video game that involved helping Franklin the frog navigate through various college parties without succumbing to alcohol poisoning. (Easy, Frank, remember to hydrate). Other universities require students to watch educational videos or take online quizzes about appropriate alcohol use. These one-time interventions do work, but their effect tends to wear off as the school year progresses, according to a study published Tuesday in the Journal of Consulting and Clinical Psychology. The study combines data collected from three previous alcohol intervention studies and analyzed the drinking behaviors of over 1,000 college students who had been through some sort of alcohol education program. Some of the students took an online course either at home or in a lab, while others received in-person education. A month later, 82 percent of the students reported drinking less, regardless of the type of alcohol education they had. But 12 months later, 84 percent had increased their drinking — often to dangerous levels. The alcohol education programs were more effective for some students than others. 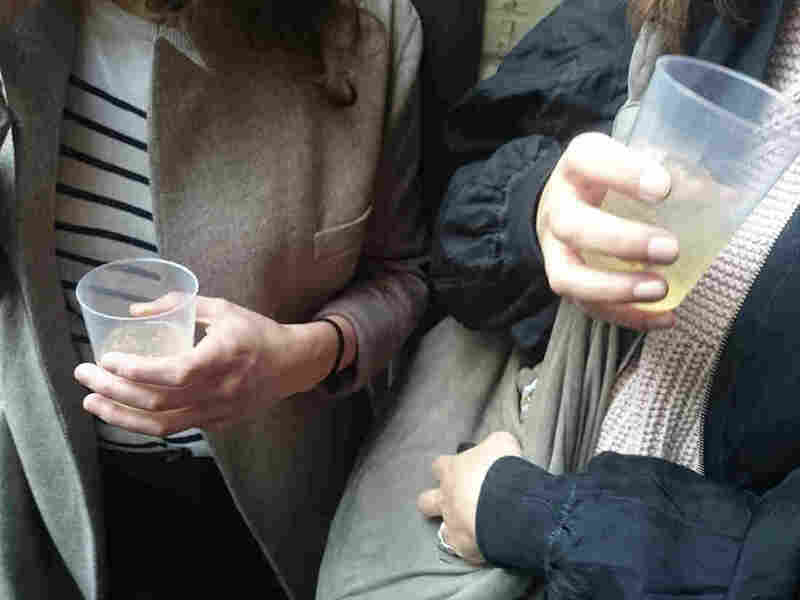 The courses worked especially well for women, and for younger, inexperienced drinkers. But for about 10 percent of the students — mostly men involved in Greek life — the courses had no effect. "You do still need that education," says James Henson, an associate professor of psychology at Old Dominion University who led the study. But the study highlights the need to find more ways to keep reminding students that if they do drink, they should be aware of their limits, pace themselves and stay hydrated, Henson tells Shots. "You need to remind students that people can still have fun and consume alcohol without hurting themselves." Some colleges have started sending students email reminders, Henson says. He's also working on developing a system to send students text reminders while they're out at parties. Ideally, he says, it's best to reach out right before they're about to have one too many drinks. "I think this study also shows that our interventions do work, but maybe they don't work equally well for all students," says Lori Scott-Sheldon, an assistant professor of psychiatry and human behavior at Brown University who wasn't involved in the research. It may be that the 10 percent who didn't change their behavior after going through alcohol education need extra attention or counseling, Scott-Sheldon notes. "We need to be taking a more targeted, individualized approach." To help sort things out, the National Institute on Alcohol Abuse and Alcoholism is working on developing a system to codify all the existing research on alcohol interventions, says NIAAA director George Koob. "When you're young, your brain isn't fully developed," Koob says, which means that college freshmen are especially prone to making bad decisions when it comes to alcohol. "Plus on campuses there's this perception that it's OK to drink and it's OK to drink as fast and as much as possible," he says. "So this is obviously a very complicated problem."